It's back to the regular school routine for me but this year is a bit different since I have taken on some more extracurricular choral activities. I started Belle Canto rehearsals last Monday and I also started rehearsing with Pro Coro. Things were the same as usual for Belle Canto but Pro Coro was definitely a new experience since it was my first "professional" choir experience. The rehearsals were intense and it was also strange singing with some of my past conductors. I joked that it was like yesterday I was in their youth choir while today I'm singing in their section. They remarked that I am now their peer but I answered with a statement of self-deprecating disbelief. I received the music a 2 weeks prior the rehearsal so I had time to look through the pieces: Brahm's Zieguenerlieder (Gypsy Songs) and Frank Martin's Mass. I tried my best to sightread them on my own, but it was tricky since it was difficult to rehearse my line when I didn't have the musical context of surrounding voices. I remedied this by listening to streaming audio clips from the Naxos' online music library and tried to follow along to my part as the song played. It worked well for the Brahm's and also gave me an idea of how fast the German text goes in some sections! I really like the Brahms though. It's a set of 11 love songs and many of them have an exotic gypsy tones and sense of musical "otherness" about them. The Rheinberger's "Cantus Missae" is also on the program and I just received the music at the first rehearsal. It's a gorgeous mass with many romantic sounding lines. By far the most difficult piece to learn independently was the Martin Mass since the musical lines on their own don't make any sense. It's a 20th C mass so it can sound pretty messed up tonally. However, with the rest of the choir, it's starting to make a lot more sense to me. There are tritones galore throughout the whole mass which makes me smile since tritones were the "Devil's" note and its use was often avoided in early Church days. The Martin's Mass continues to challenge me despite having three rehearsals. Especially during the last two rehearsals since there were only two people singing my part (including me) and one singer wasn't able to make it to two rehearsals. We only have three voices singing our section. The choir numbers have been stretched out since it is a double choir piece so there are 8 parts with 3-5 voices on each part. The first rehearsal was the most intense. I arrived at the rehearsal location, chatted with some choristers I sang with in the University Madrigal Singers, conductor Richard Sparks greeted us all at the front of the room, Jeremy, our accompanist (and local Edmonton organ deity), played a note, Sparks raised his hands and the downbeat was my Alto II part. The piece opens on an exposed "A" and we had three voices supporting it. Man, that was terrifying! I've never had to think so hard during rehearsals in a long time. I had to use all my choral tricks, writing down the interval relations before they come, circling my notes that other parts sing so I can store them in my auditory memory, numbering weird rhythms, continuous listening around me for any choral context to help me find my notes. I felt like I needed to do multiple things at once: add dynamics, sing with good breath support and tone, pencil in breath markings as Sparks rattled them off as fast as my school professors, and respond to the musical nuances in other lines. My brain was scurrying to do these things in addition to finding my notes! For the professionals around me, it was just another day at work. For me, it was like I was trying to beat more information into my brain but it just was taking. I could only incorporate one new thing at a time! As a chorister who has been singing for leisure for the past few years, it was a steep learning curve. The worse thing is when you see your part coming up and you have no idea what you note is, your eye gaze goes haywire as you attempt to search for a musical crutch from another line, and by the time you breathe to give it a blind try, you choke and no sound comes out. Meanwhile, the rest of the choir is already two bars ahead. However, I've been feeling exponentially more comfortable with each rehearsal and I'm starting to be able to appreciate the music much more rather than being paralyzed with fear when I see my upcoming notes. I strongly believe that if you surround yourself with experts, you learn so much faster since they're setting a high bar and it gives you the challenge of working up to their level. Without that stimulus, I wouldn't have had the motivation to get better. Overall, I am quite impressed with how quickly I've adapted to the musical intensity and demands required of me. This was one of the main reasons I wanted to sing with Pro Coro. I feel like I have just been coasting in Belle Canto. It's comfortable and enjoyable but I no longer feel challenged. 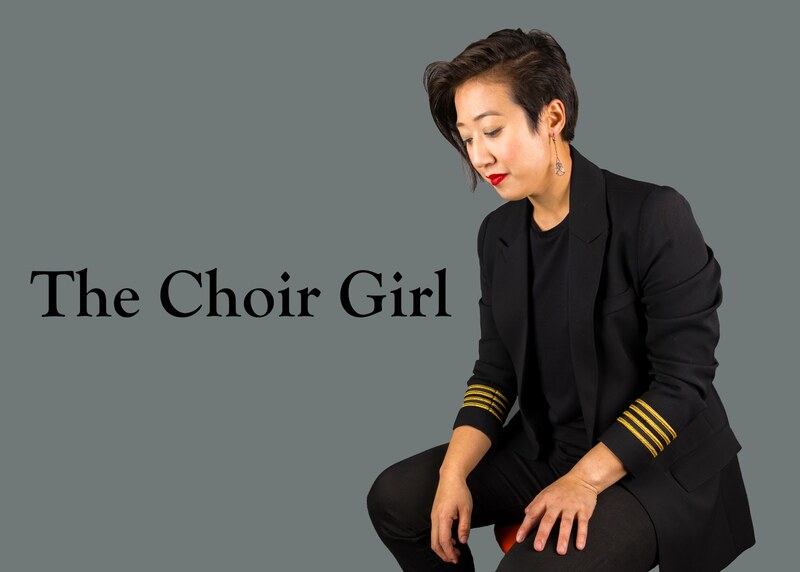 I wanted to see if I had the skills to perform with a professional group, and although I am still consolidating my place within the choir, I feel comforted by the fact that I am slowly adapting to this fast-paced musical lifestyle. I do not have another Pro Coro rehearsal until Saturday and after that I have three more rehearsals until the concert. It's a pretty condensed time frame! Over the next week I'll be working through some notes and trouble areas within the pieces so I can continue my prep for the concert on October 3rd. If you would like to listen to the first movement of Martin's Mass, Kyrie, try the video below. You can hear the exposed "A" that starts the piece! To learn more about the music you can download the press release for the concert on Oct. 3. I am fascinated reading your account. I DID audition for that second choir I mentioned to you in the comment section of your last post -- and got in! The director of the choir asked me to sing Alto II as well. I am attempting this year to sing in two choirs, and the second choir is a higher level of learning. I also was surrounded by people who were very apt at the higher level, and I am very excited to have a wonderful choral growth opportunity. Thanks for posting that Naxos link. I think that is a great resource and I had not known about it.